Transitional Copy: Dimensional Optics’ 3ACTIVE® brand of 3D glasses is the optimal pair of 3D glasses for quality fit, comfort, and function since 2010. 3ACTIVE 3D glasses are now available in the UK at a high-value retail price. 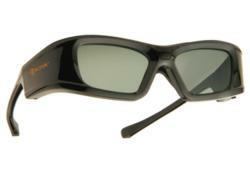 3ACTIVE® glasses offer the best fit and comfort possible for quality 3D viewing of active 3D TVs. Expansion into the UK will allow more consumers to purchase quality 3D glasses for a substantial savings over the TV branded 3D glasses. The 3ACTIVE® Glasses are currently available in the UK on Amazon.co.uk. Lightweight frames and flexible temples for a comfortable fit. Rechargeable batteries for convenient usage without needing additional batteries. Improved peripheral light blocking frames will help customers see all 3D images. Compact case that helps to organize and protect 3D accessories. 3ACTIVE® 3D Glasses are designed to be more than a 3D TV accessory. Dimensional Optics used our many years of eyewear frame design and high-performance optical lens development to build 3D Glasses that improve the 3D TV Consumer’s viewing pleasure. Providing quality at an affordable price is the best way to being introduced to the excitement of 3D entertainment. Dimensional Optics wants customers to enjoy 3D entertainment and leave the technology to the manufacturers.